Shine Technologies Solutions (PTY)Ltd is a Namibian Information, Communication and Technology (ICT) Company and Monitoring Services. 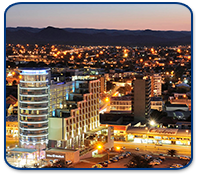 The firm was established in 2011 and was founded in response to the nation’s need for better monitoring services and increased innovation in the local ICT sector. Full service monitoring and security provision – this includes a security guard team, alarms, direct communication, real time report, SMS and email notification as well as emergency call functionality.